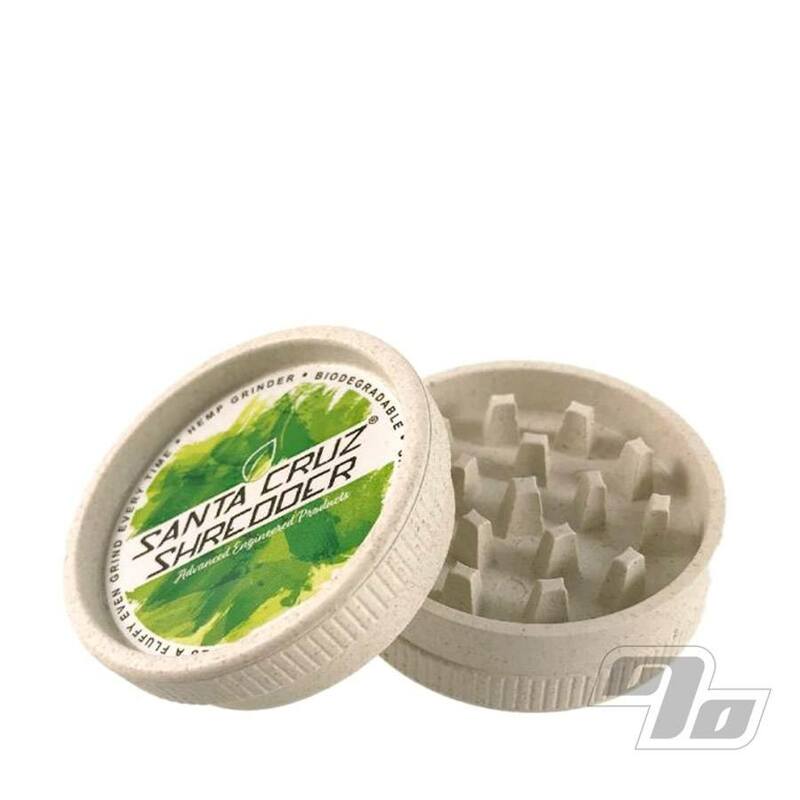 The Santa Cruz Shredder Hemp Grinder are made from a new hemp bio plastic. Nothing but Hemp with zero plastic in this grinder. It lasts a good long time (year+ in testing) when using to shred your herbs and it's biodegradable when done. This hemp grinder is extremely durable! 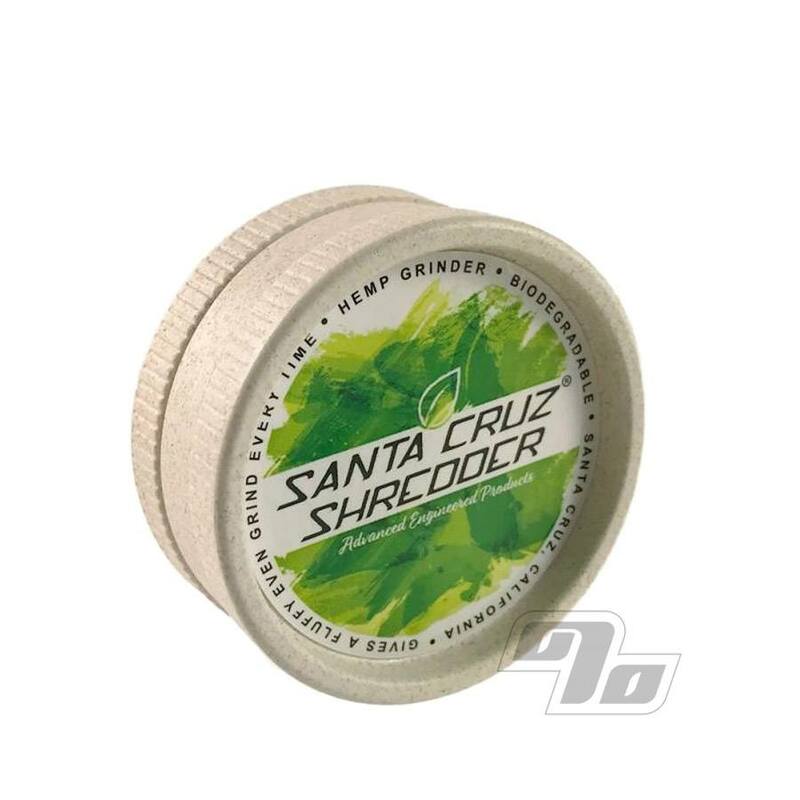 Despite it's pocket friendly size and eco-friendly hemp construction, this Santa Cruz Shredder grinds up the fluffiest of the fluffy with ease. Precision teeth just like the aircraft aluminum Santa Cruz Shredders. The approximate external diameter is 2 1/8 inches with an approximate height of 1 inch.